For the longest time, hashtags were the things you found on Twitter. Or they adorned Instagram captions in a big list of signposts telling people what the content was about. On Pinterest, like on Facebook, hashtags were something that was a bit frowned upon. They didn’t really work, they weren’t clickable and the whole concept of Pinterest hashtags was to just not add them. Then in August 2017, that all changed. Hashtags on Pinterest were suddenly a thing. People were merrily hash-tagging away on their captions, although it was a little random. Over a year on, it is now a good time to take a look at the whole Pinterest hashtags thing, see what is working and what the best practice is to find Pinterest hashtags to use. Pinterest hashtags – since when? Part of the motivation was that hashtags were commonplace on other platforms and people were just used to using them. They were a bit slow to really start to gain common use because so many people had been schooled not to use them. But soon, Pinterest was even suggesting which hashtags you might want to add to help prompt you when creating a caption on the platform. One thing that was said was that you could go back and add them to older pins but you didn’t have to. Now with the greater focus on new content, it is better just to get good practices in place to create your pins with hashtags going forward. The first thing to understand with Pinterest hashtags is how they work. As mentioned above, hashtags show content that is freshest when someone taps on it. So this is a chronological feed in the same way as the old home feed used to be. Confused by all the Pinterest changes? Because we have been using hashtags for over a year now, there are a few ideas around on using Pinterest hashtags 2018 and how to find good Pinterest hashtags. I’ve developed a step in my keyword research process that looks at the hashtags that I want to add to the description. 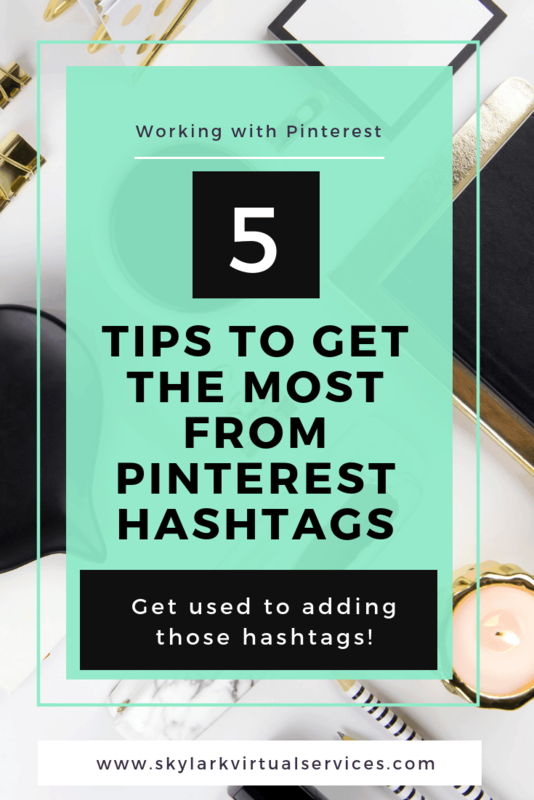 It can be a little random but is a good way to start looking at how to find good Pinterest hashtags. If you are an Instagram fan, then you are used to working up to your 30 hashtags, but Pinterest recommends no more than 20. In some cases, 3-7 is a good number because you can get that balance of short and long tail keywords that will work for you. 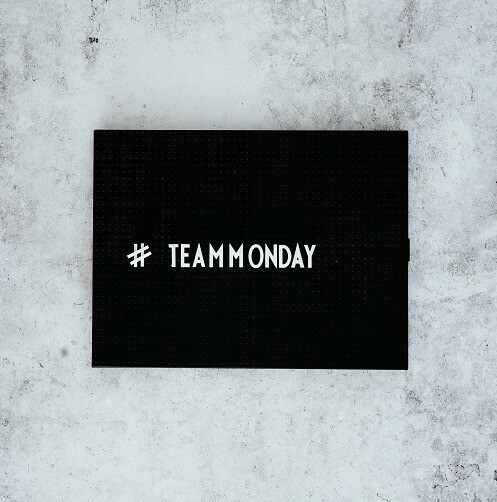 Hashtags on Pinterest should be a mix of basic and long tail ones. I know on Instagram, sometimes the hashtags that are very basic are so crowded that it isn’t worth using them. But with Pinterest, the saturation isn’t as heavy, so you can use a mix of both. Start with something basic like #pinterest then look at things like #pinteresthastags #hashtags #pinteresttips and see what comes up. You will also find other hashtags people are using and can add them if they are relevant. For Twitter captions, you can often turn a word in a caption into a hashtag. But the question of where do I add hashtags on Pinterest is clear – at the end of the caption. 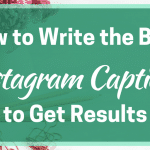 Write your keyword rich description, add your CTA and then add your hashtags at the very end. I know that even a year on there is still problems sometimes with hashtags on Pinterest. But for me, I’ve made myself add them and get into the habit of doing it. Because there’s no sign they will go away so might as well have them in there. And if they happen to get caught by the Pinterest gremlins and stop working for a bit, never mind, they will be back! 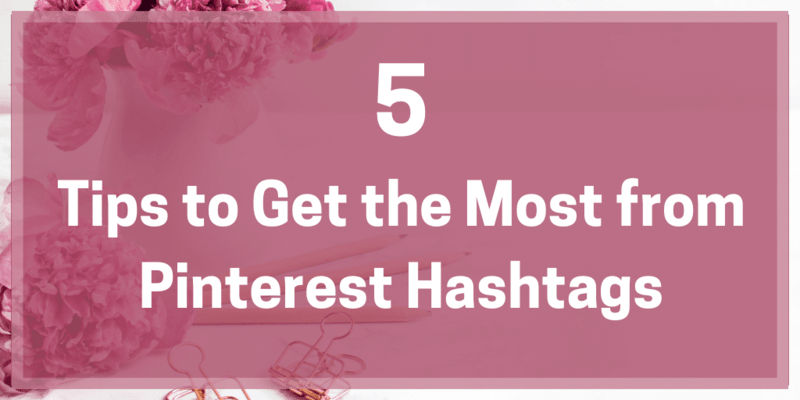 Have you started using Pinterest hashtags? Do you notice much success with them? I’d love to hear your best practices in the comments! 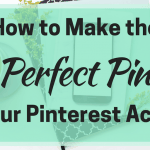 Need to get the hang of Pinterest keywords? Sign up for my free newsletter and you get free access to my Pinterest keyword checlist to learn what goes where - and more! All such good advice. Especially using the branded hashtag! I’m a little behind and haven’t started using hashtags yet. Thanks for your clear tips. I will start using them now! You are very welcome! And I think Pinterest is still a bit unclear about them so I wouldn’t worry about being behind!! I am new to Pinterest and I just figured out that hashtags even exist here. Your pin came up when I searched for “Pinerest hashtags” and you gave me some good advice. I will start using them from now on. Thanks! 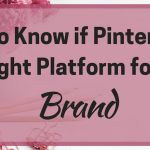 Pinterest still seems a little uncertain about exactly what their hashtag approach is but I’m going with the idea of adding them and then it is done!